KAMLOOPS, B.C., CANADA (July 13, 2018) -- His last win had come some 11,000 kilometres from home and was beginning to feel like a lifetime ago. Actually, it had only been seven months since Chris Crisologo travelled to Buenos Aires, Argentina and won the South American Amateur Championship. That was a huge win for the talented 22-year-old from Richmond, but so was the one he earned Friday at Rivershore Golf Links in Kamloops. In a way, it might even be bigger for Crisologo, a young man who is proud of his British Columbia roots and was absolutely delighted to hoist the Bostock Trophy as the 2018 winner of the B.C. Amateur Championship. 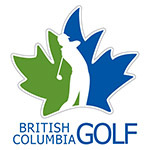 Crisologo shot a tidy, three-under par 69 to beat Kaleb Gorbahn of Smithers by two shots and win the 116th playing of the B.C. Amateur. Crisologo, a member of Canada’s National Amateur Team, finished with a 72-hole total of 12-under par. Needing only a par on the par 5 18th hole to win, Crisologo instead two-putted for birdie. The Marine Drive member had come to Rivershore not feeling that great about his game. He had disappointing results during a four-week overseas trip to Scotland, Ireland and the Netherlands and certainly wasn’t oozing with confidence when play began on Tuesday. One of the first people to congratulate Crisologo was Marine Drive legend Doug Roxburgh, who a couple of hours earlier had finished playing in his 52nd straight B.C. Amateur. Crisologo said the support of Roxburgh and everyone at Marine Drive has meant more than words can say. With his younger brother Michael caddying for him and his mom and dad walking every step of the way, Crisologo played what was close to an error-free round of golf. He made four birdies and his only bogey came on the par 3 11th hole, where he three-putted. He made several crucial par-saving putts of five to seven feet along the way. Crisologo recently completed a stellar collegiate career at Simon Fraser University and has a busy summer schedule that includes the Pacific Coast Amateur at the Olympic Club in San Francisco later this month and next month’s Canadian Amateur Championship at Duncan Meadows and Pheasant Glen golf courses on Vancouver Island. Crisologo will be joined on the B.C. Team at the Canadian Amateur by Gorbahn and Victoria’s Kevin Carrigan, who finished third at nine-under par. Gorbahn, who recently completed his collegiate golf career at the University of Nevada at Reno, put pressure of Crisologo all day. He fired a four-under 68 and was lamenting a couple of short missed putts late in his round that could have made things interesting. Carrigan, who has had a number of top-five finishes at the B.C. Amateur, vows to keep playing until he wins one. “I thought this was my year, but I am going to keep playing it for sure,” said Carrigan, a two-time Canadian Mid-Amateur champion. He’ll probably never play as many as the 66-year-old Roxburgh, who continues to defy Father Time. He shot an even-par 72 on Friday and finished tied for 27th place at six-over par. Zach Olson of Abbotsford finished alone in fourth at seven-under after shooting a 73 on Friday. Surrey’s Ian Kim fired the day’s best round, a six-under 66, and moved into fifth place at six-under par. 72 hole stroke play championship with a cut after 36 holes. No gender or age restriction. Players must qualify through their zone, be previously exempt or play in the Supplemental Qualifier.